Once again the amazing people at Harper Collins publishing gave DC World an exclusive look at a movie tie in book. 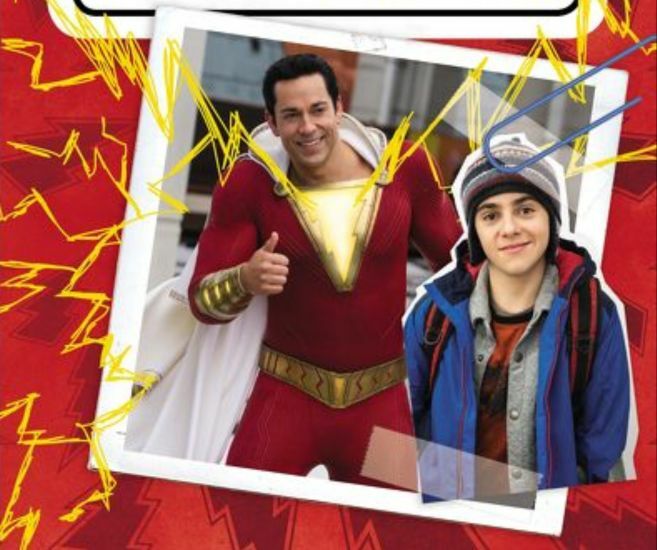 As with Aquaman and the prequel book Undertow, the upcoming movie Shazam has its own book. 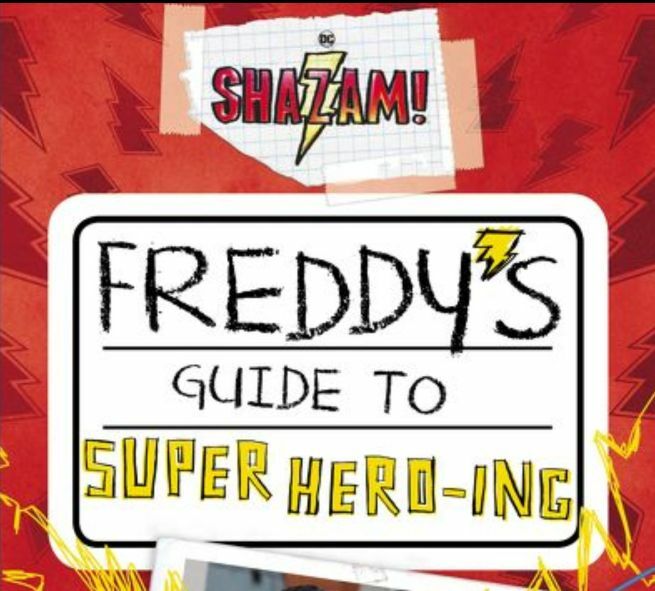 Shazam – Freddy’s Guide to Superhero-ing is a book styled as a journal written by Freddy. 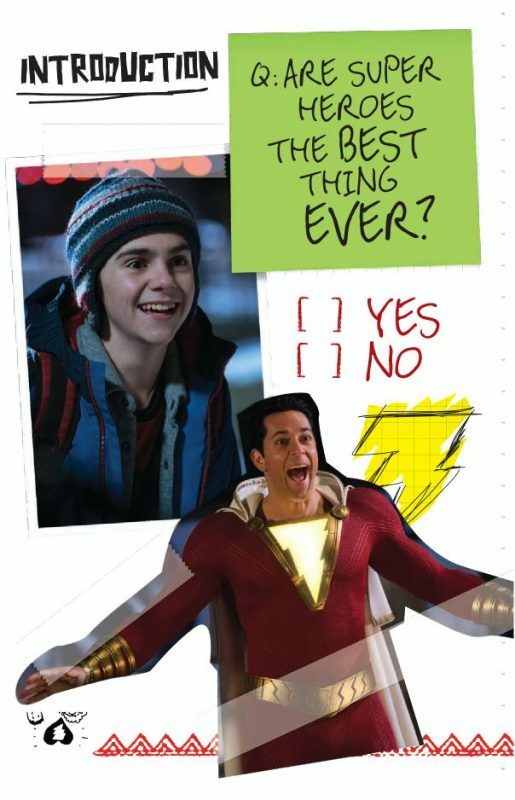 In the movie, Freddy is the foster brother to Billy Batson who becomes Shazam. What I found really interesting about this book is that it’s not a prequel. 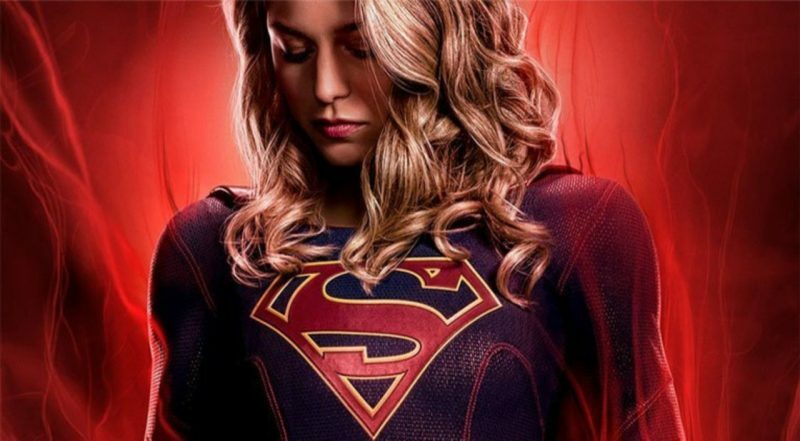 If the trailers are anything to go buy, the book is very closely tied to the movie. What the trailers have shown us is Freddy helping Shazam discover his powers. The book gives us a number of chapters detailing every test Freddy and Shazam carry out. It feels as though we are on the journey with them enjoying the highs and lows. I don’t know if we will see all the tests in the film but it comes across well on page and could be very funny on screen. This section is hilarious. The way it’s written really feels accurate for how a 14-year-old would write about such amazing scenarios. 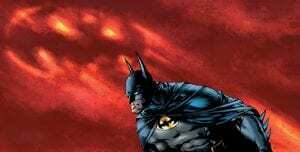 The book also gives us a breakdown of other superheroes. This is fun with some good artistic sketches but what’s significant is this confirms the continuity of Justice League and the other DC movies. This book is designed for a younger audience so I gave it to my two sons to read also. They enjoyed reading the antics Freddy and Shazam got up to. At the end of each section there are quiz questions which we would ask each other. This gives the book a nice interactive element for big kids like myself to engage with my kids. 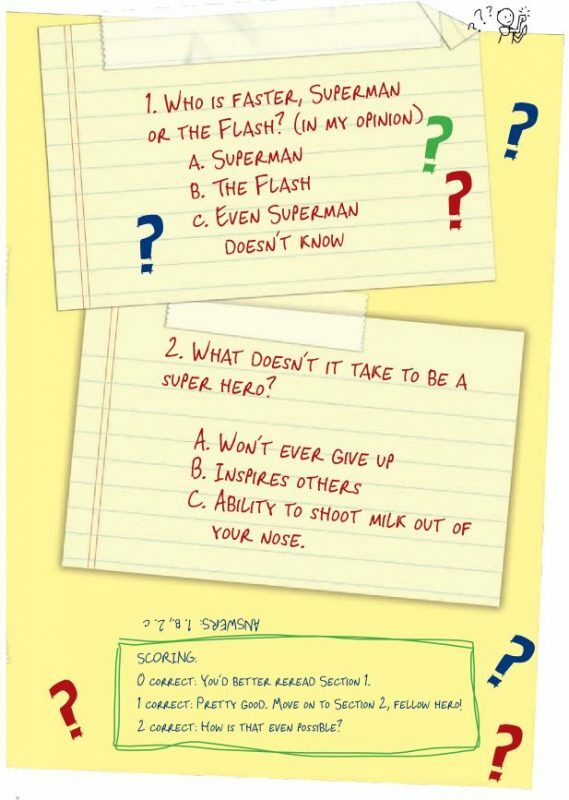 It also gave us some heated debates, for example the question Who is faster Flash or Superman? My son was very keen to point out that is the Flash could run so fast he could time travel then there is no way Superman could beat him. Having already seen Shazam floss in the trailer, my kids were sold. With the addition of this book and learning as much as we did about the character, its opening day screening for my family on the 5th April. Shazam is not quite a household name so reading this book is quite a good introduction to the character in preparation for the movie. This book was written by Steve Behling, the author behind Aquaman Undertow. I interviewed Steve when reviewing Undertow and he gave us a head up for this book. During that interview it became apparent that Steve is a huge comic book fan. He has a great depth of knowledge in the genre and lots of interesting projects coming up this year. You can find the interview here. The book is on sale now and can be found here.